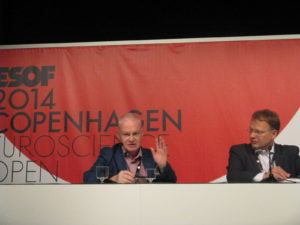 At a press conference during ESOF 2014 in Copenhagen, EUSJA announced date and themes for the 2nd European Conference for Science Journalists. ECSJ is scheduled for 3rd of November 2015 in Budapest as part of the World Science Forum organized by the Hungarian Academy of Science. 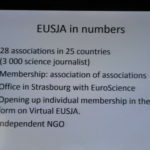 The president of the European Union of Science Journalists’ Unions Satu Lipponen described the organization as a viable NGO which for more than 40 years has cultivated independent science journalism across the borders of the continent. 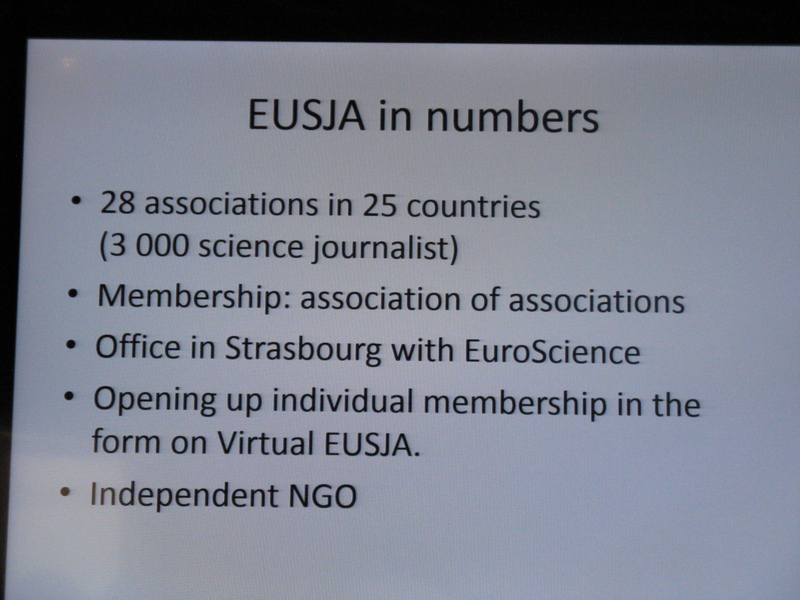 EUSJA has 25 member organizations which all in all represent several thousand science journalists throughout Europe. EUSJA President emeritus Istvan Palguyai explained that the Hungarian Science Journalists’ Association will celebrate its 25th anniversary in 2015. That would be an appropriate time and frame for the 2nd European Conference of Science Journalists, also to honor history and tradition. The Hungarian Science Journalists hosted in 1999 the 2nd World Conference of Science Journalists in Budapest. 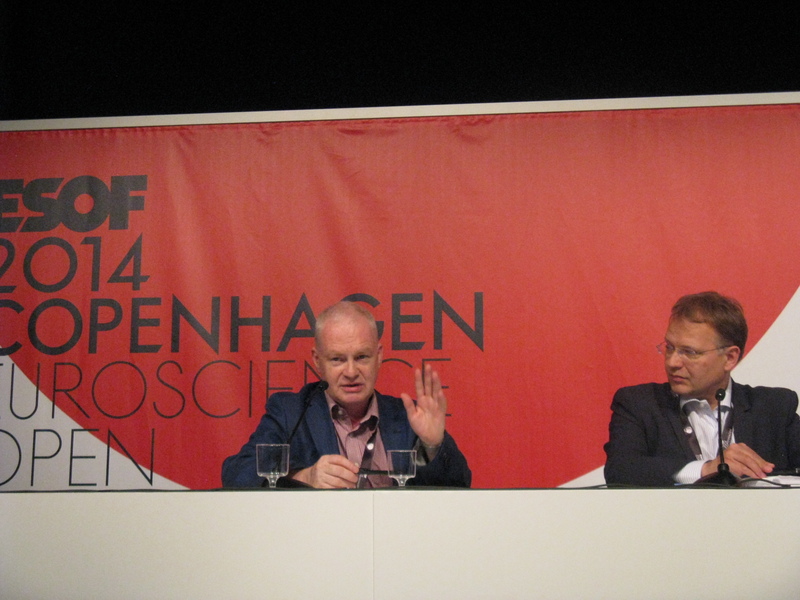 The “Budapest Declaration” was a milestone and laid the foundation of the World Federation of Science Journalists. Satu Lipponen noted that Budapest would be a very good choice, also because of the political situation and turmoils. “It will stress the necessity of independent science journalism”, she said. She introduced a whole array of potential themes, among them investigative journalism, narratives and storytelling, tools of data journalism, ethical rules and how to foster independent science journalism in a media world dominated increasingly by science communicators and PR. 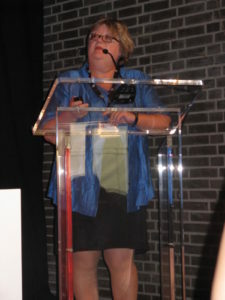 She also indicated a 3rd ECSJ. 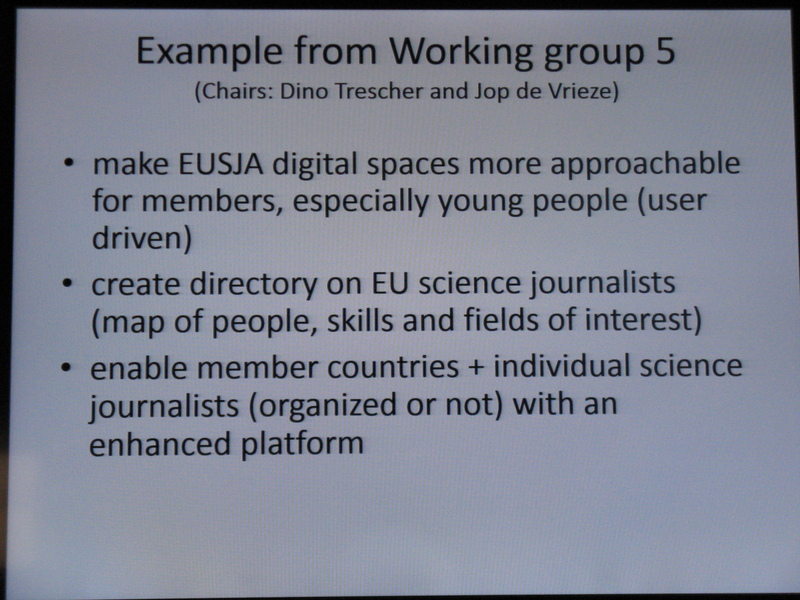 EUSJA is planning to have it during the next Euroscience Open Forum June 2016 in Manchester. 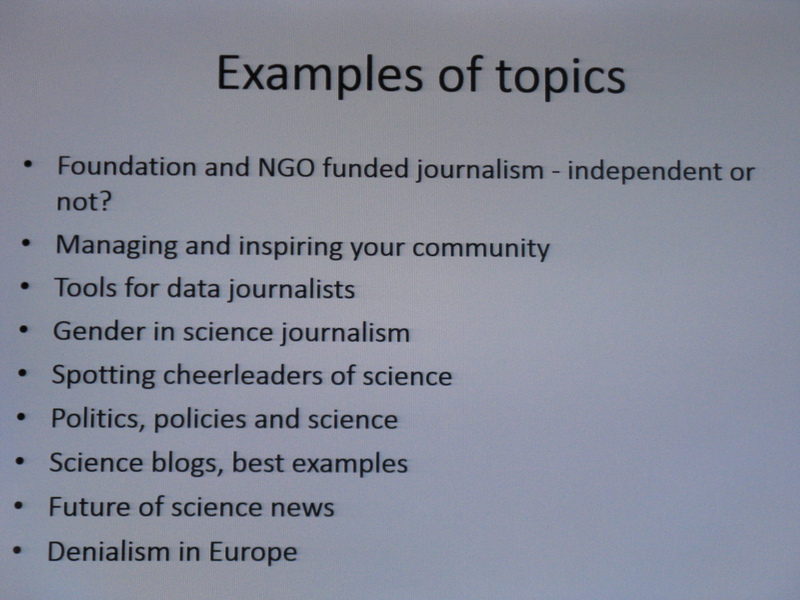 During the press conference Ms. Lipponen was asked about the European Federation for Science Journalism. 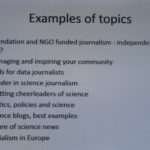 A flyer of a new science journalistic organization had been circulated and caught members of the sponsoring organizations by surprise. 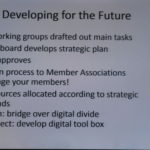 The EUSJA president expressed that there is little space for two similar organizations and that she had not seen a constitution yet. An invitation to join the EUSJA press conference had been declined, added Jens Degett. “EUSJA enjoys a long collaboration with European institutions such as Euroscience which founded ESOF and with the European Commission”, observed Lipponen. EUSJA, she continued, will carry on with its strategy process started during ESOF in Kopenhagen. 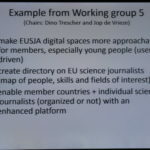 It contemplates a virtual membership, constitutional changes and a code of ethics for independent science journalism (details see http://www.eusja.org/mingling-changing-critical-together). 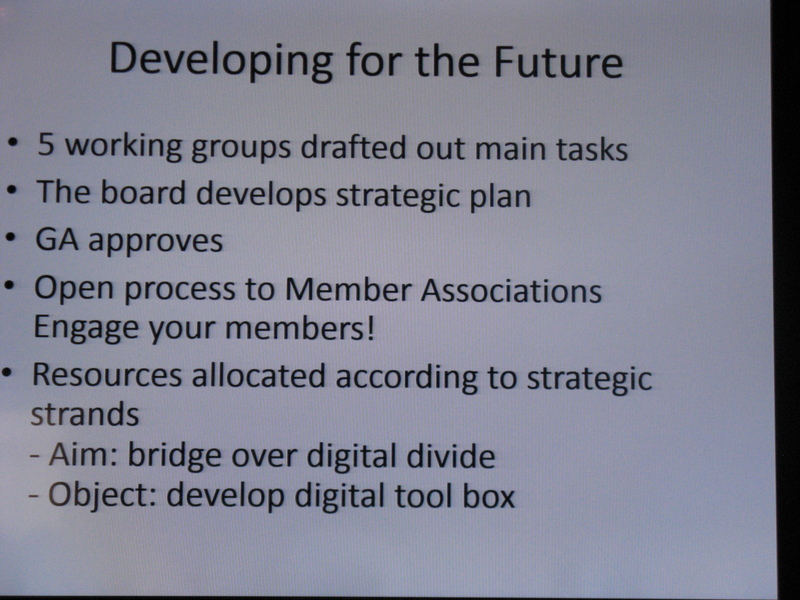 Suggestions will be submitted to the EUSJA members at the next General Assembly 2015. Despite of pending reforms one characteristic remains. “EUSJA will stay inclusive and not exclude anyone”, said Lipponen.